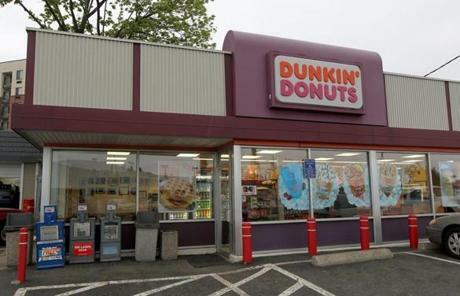 The original Dunkin' Donuts location in Quincy has been remodeled with a retro look. 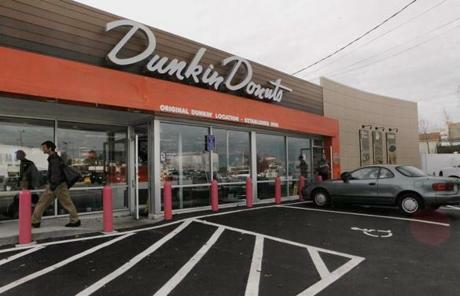 Previously, the storefront looked like every other Dunkin' Donuts location. 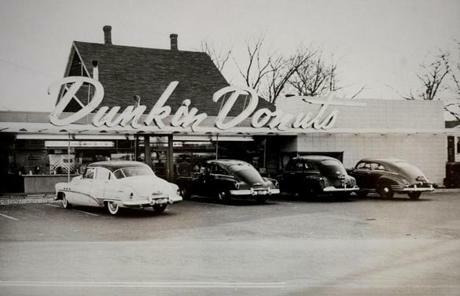 The remodel restored the look and feel of the restaurant to what it was when it opened in 1950. 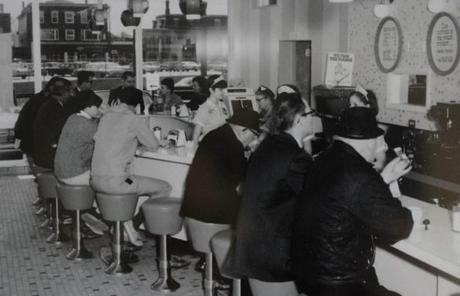 The newly renovated space brought back the horseshoe counter with stools, pictured here in the '70s. 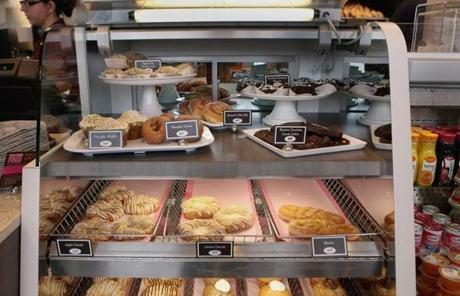 The newly configured display case echoed the throwback feel of the new interior.